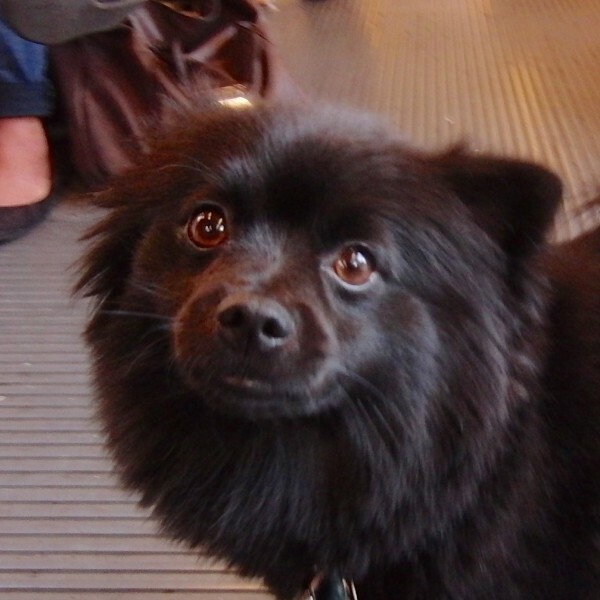 First a meta-Pomeranian and now a MUNI-Pomeranian! When will the streak end? I found this pup, whose name I forgot to get, on a MUNI train during my commute. He had a small circle of admirers around him, too. Easy to see why, that’s a dangerous dose of cute. 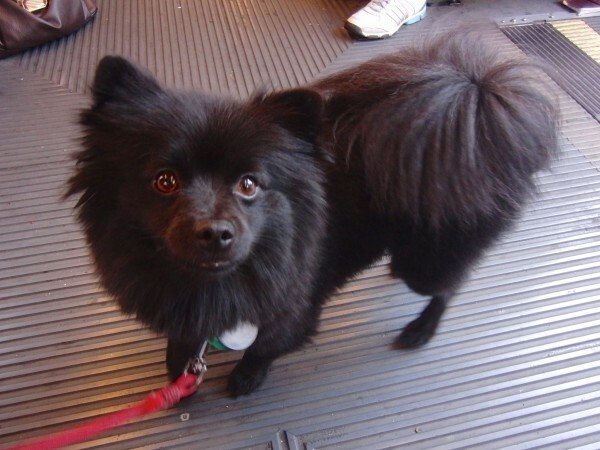 This entry was posted in Dog of the Day and tagged Embarcadero, MUNI, Pomeranian, SOMA. Bookmark the permalink. My dog of 10 years just passed away and when I saw this picture the other day, I would swear it was him. I rescued him in 2008 in San Jose CA. He was found abandon. He had bald spots but he was the most wonderful dog and I miss him. I am not sure when I took those pictures, but they were posted in September of 2012, so they were taken somewhere between late 2008 and mid-2012. So it could very well be Zani. I do know that they were taken on MUNI, somewhere near the Embarcadero. You’re more than welcome. And it sounds like you had a wonderful companion, and were a wonderful companion to Zani as well.